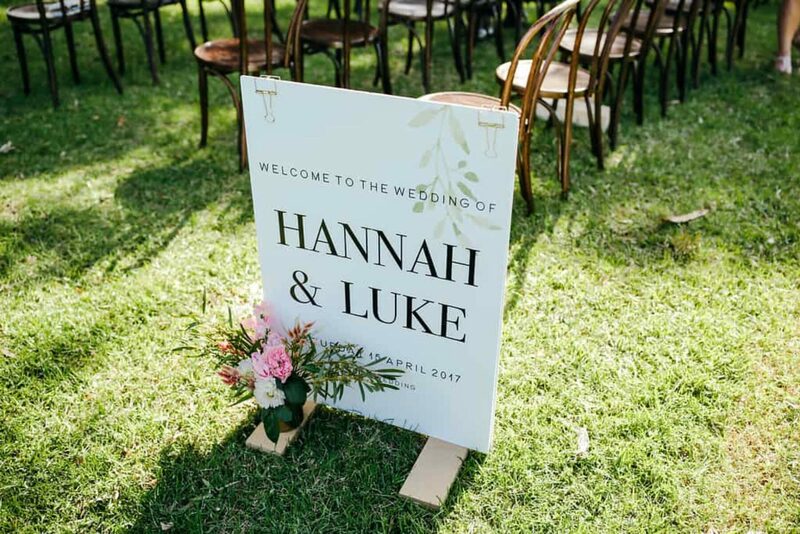 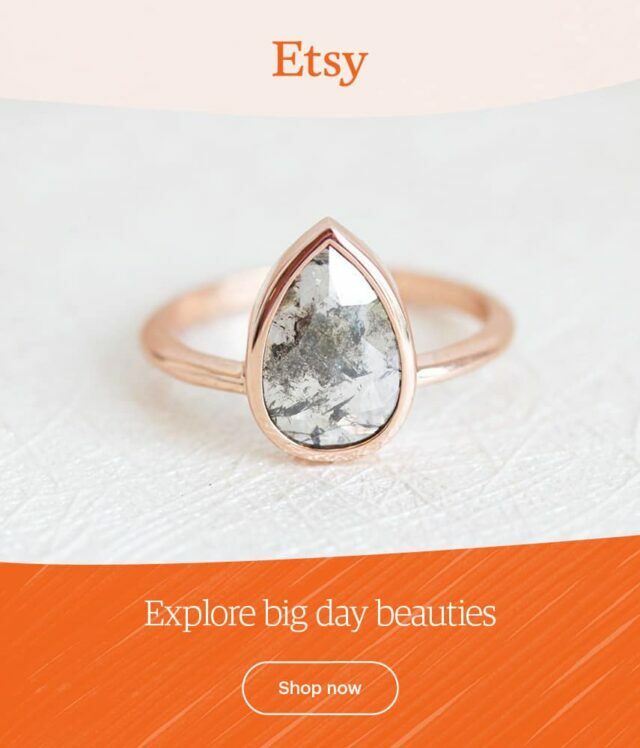 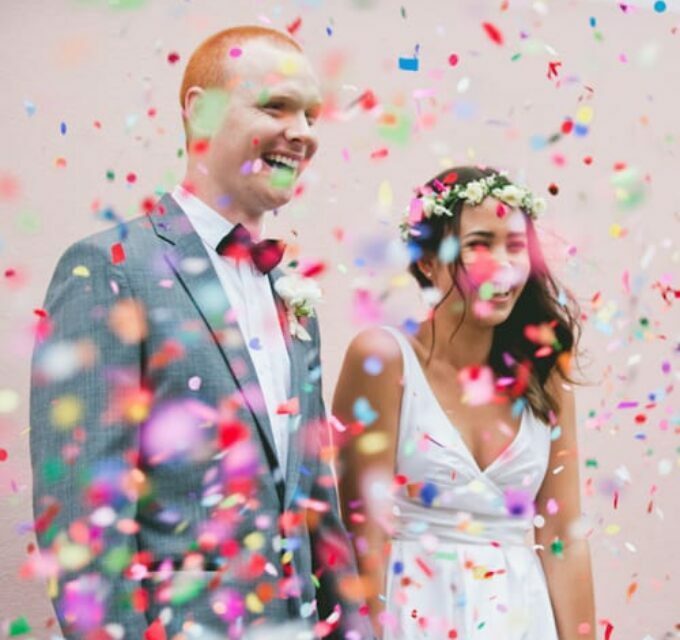 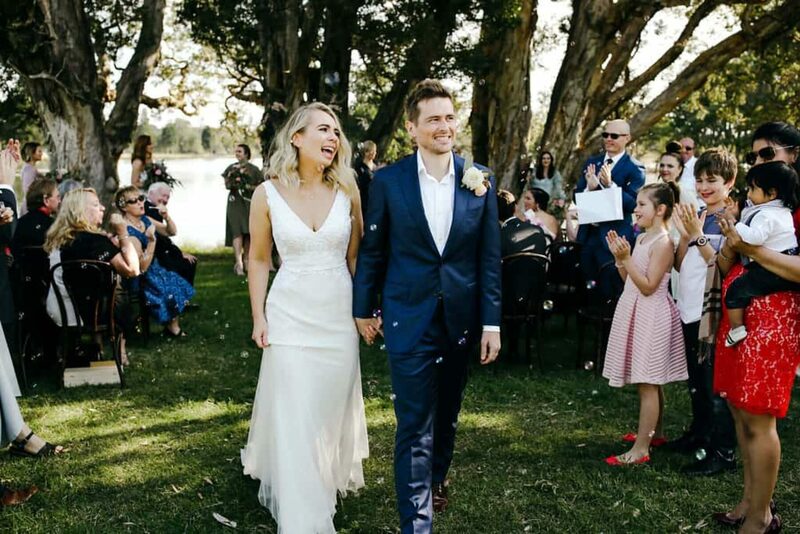 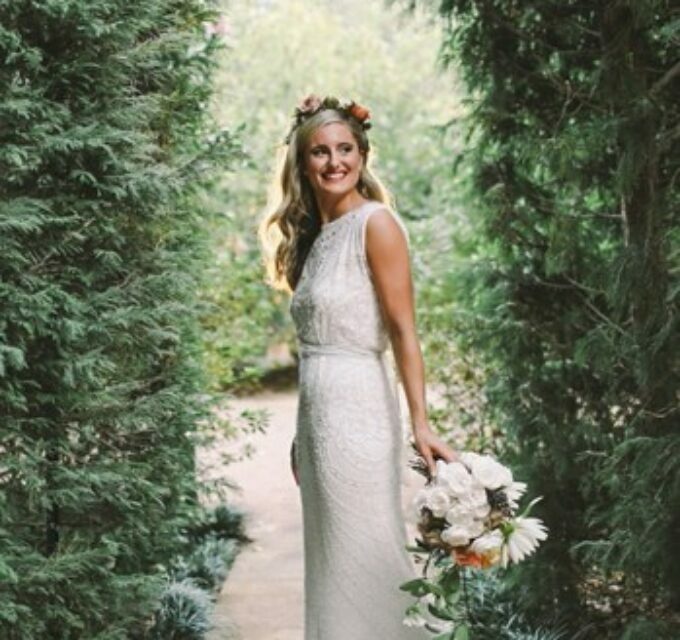 Hannah and Luke’s big day was all about sharing what they love with the people they love. 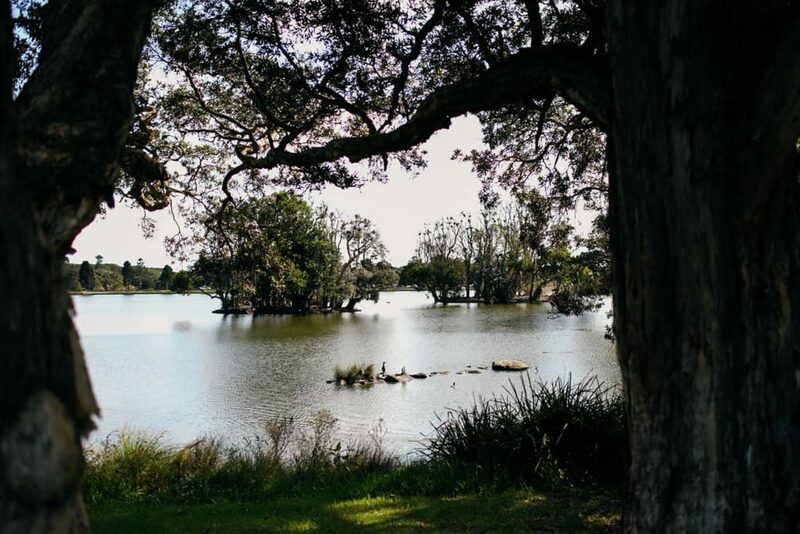 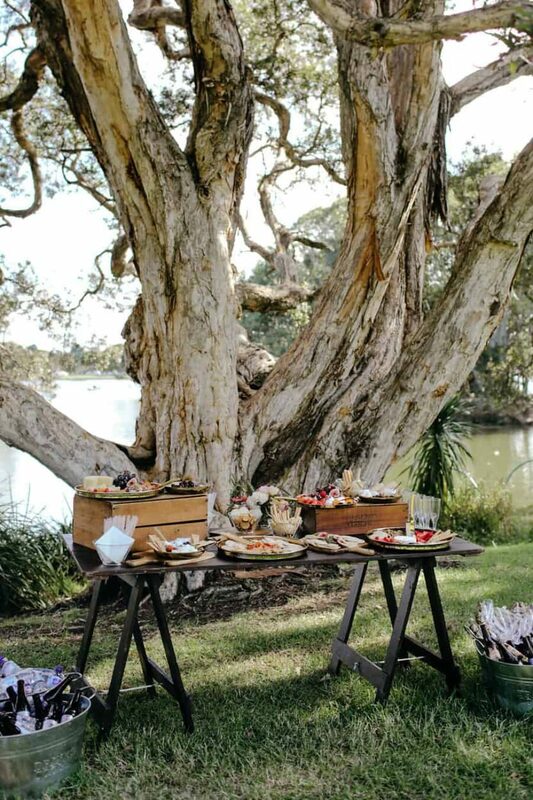 Against the backdrop of their regular neighbourhood hang-outs Centennial Park and 4Fourteen, they created a relaxed day that was true to them, and Lara Hotz was on hand to capture it all. 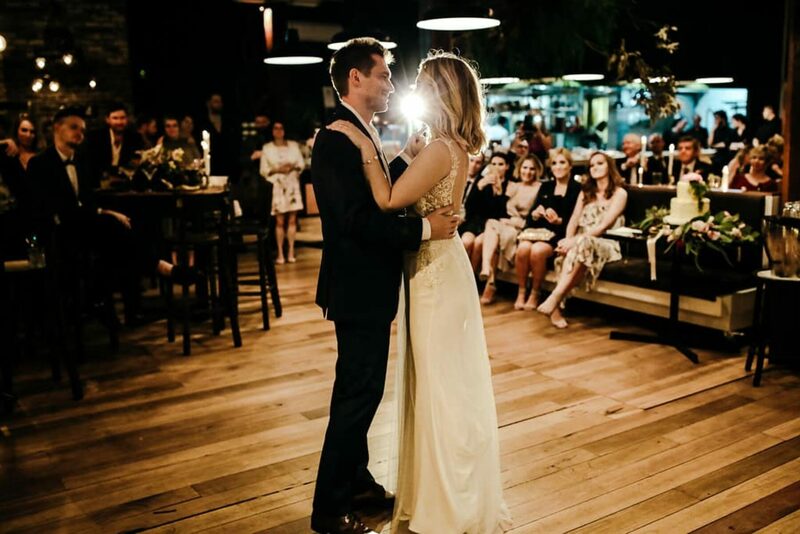 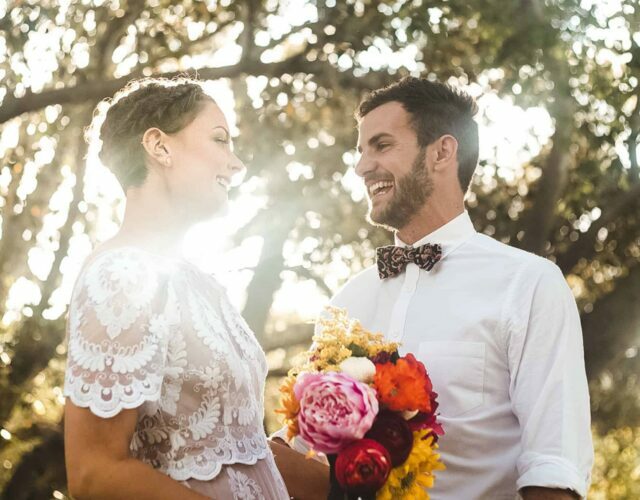 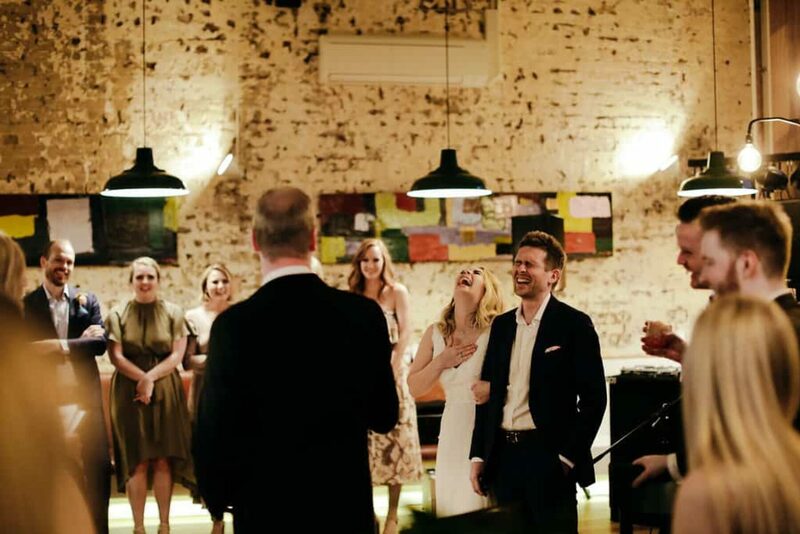 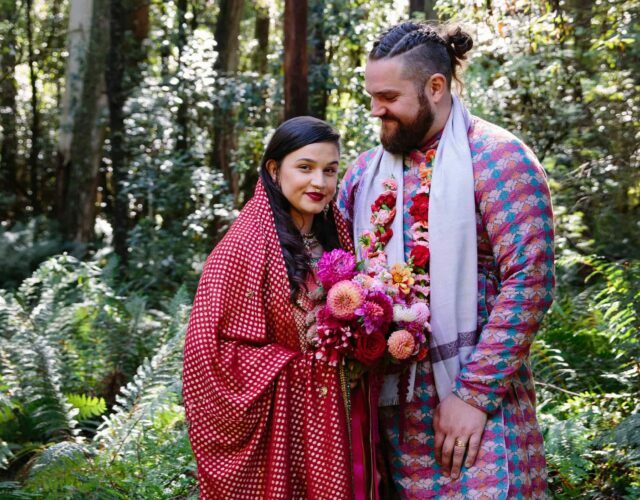 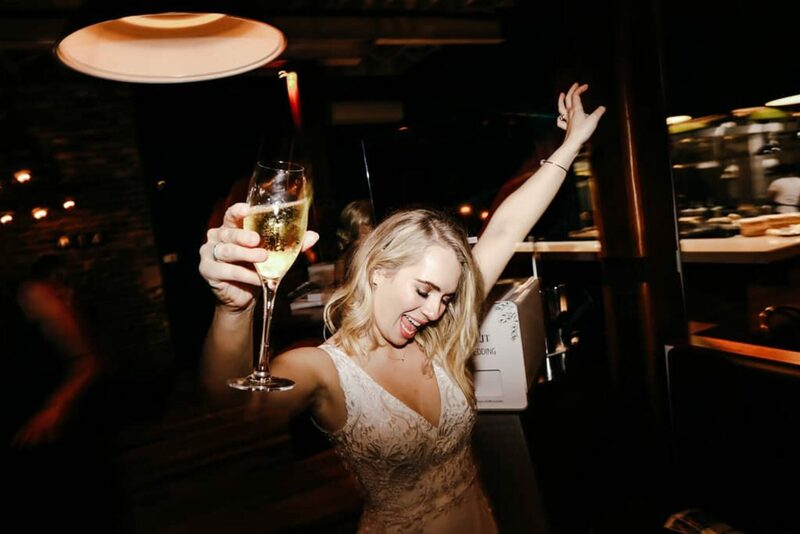 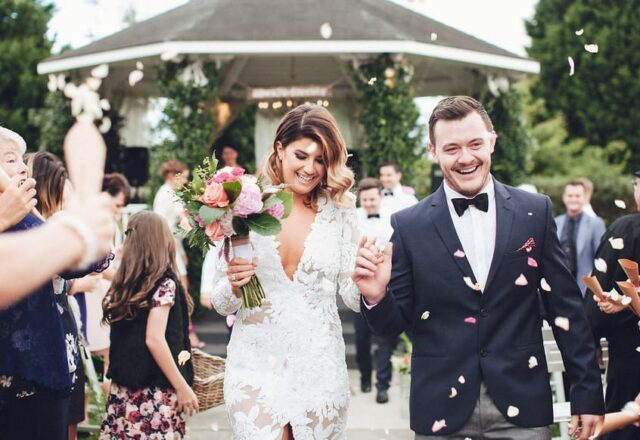 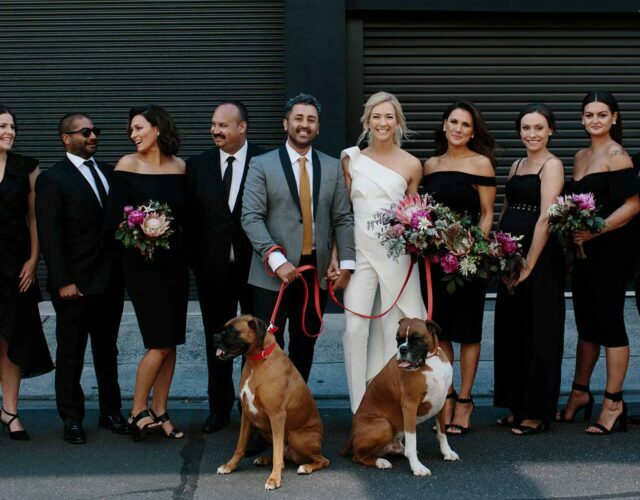 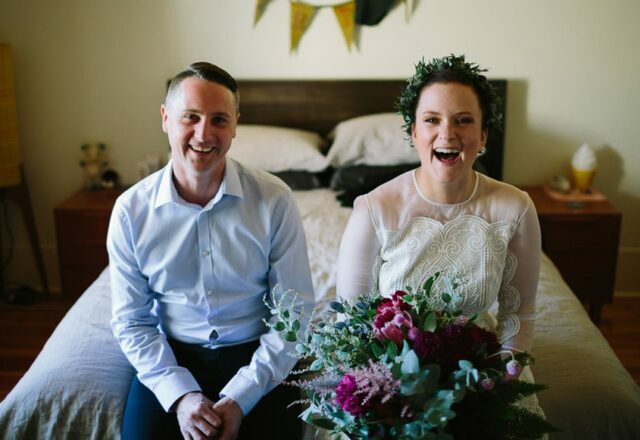 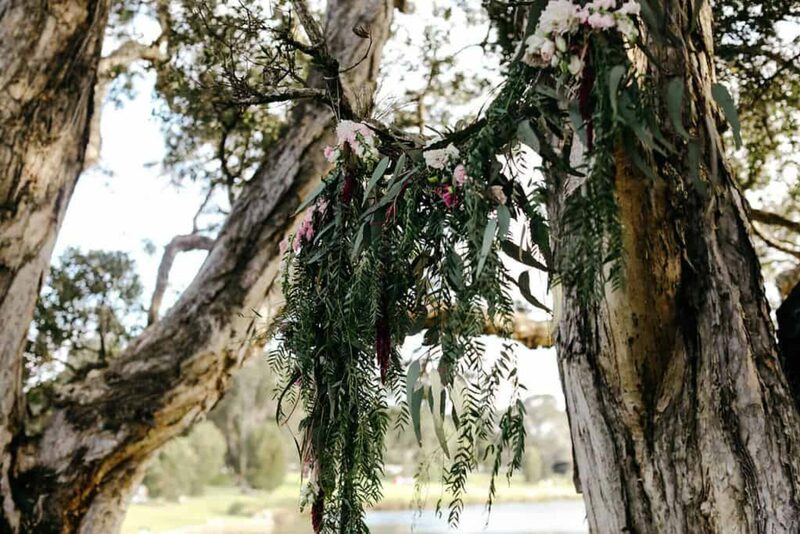 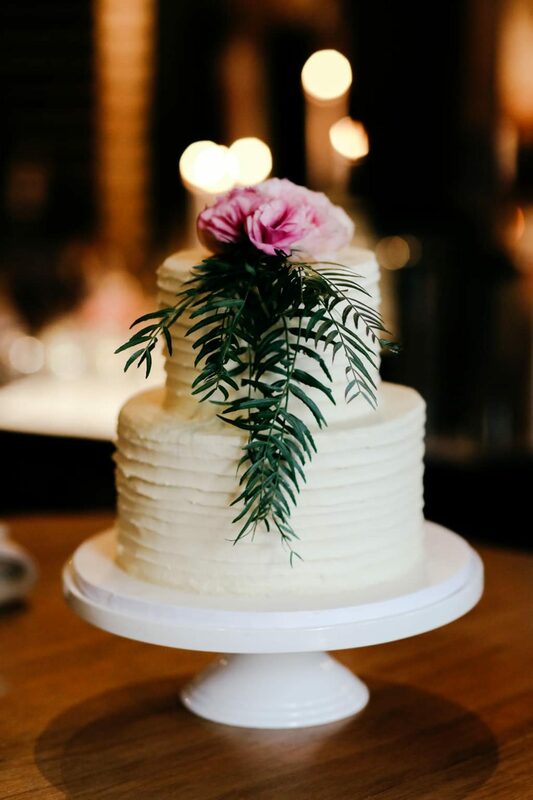 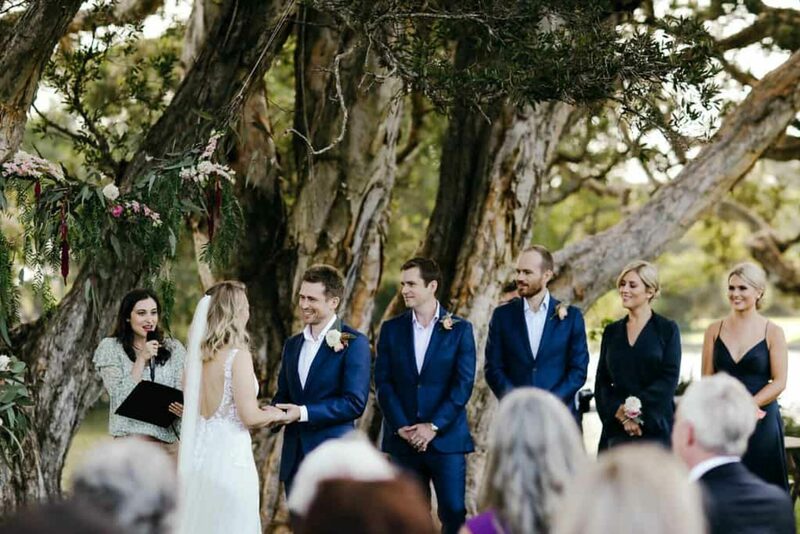 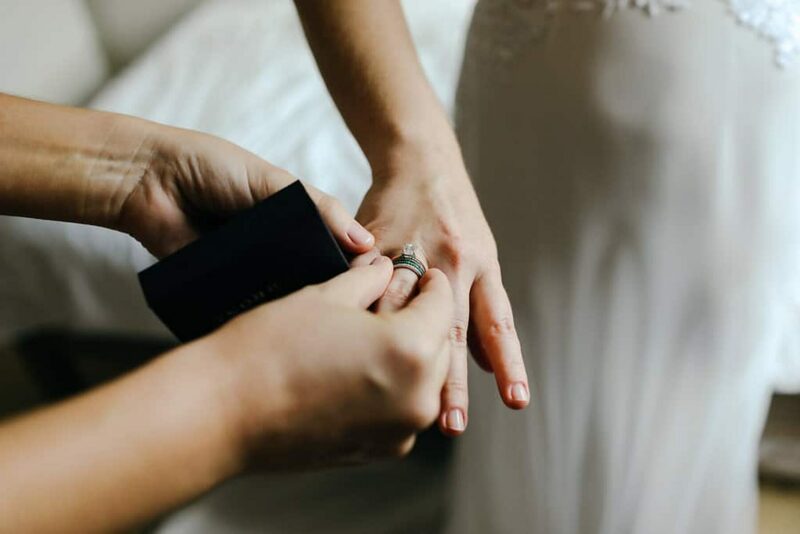 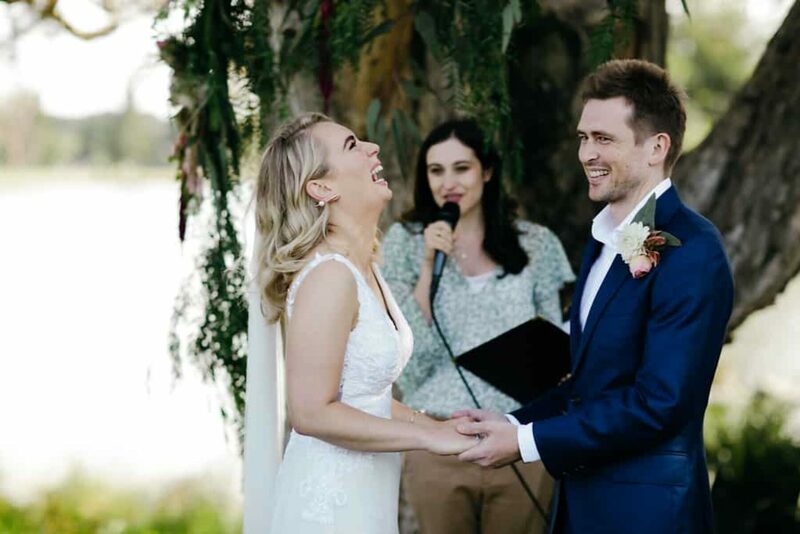 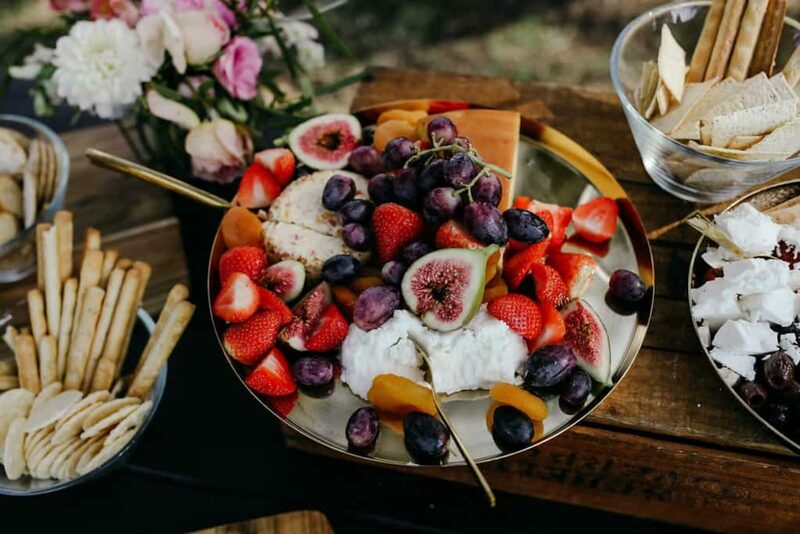 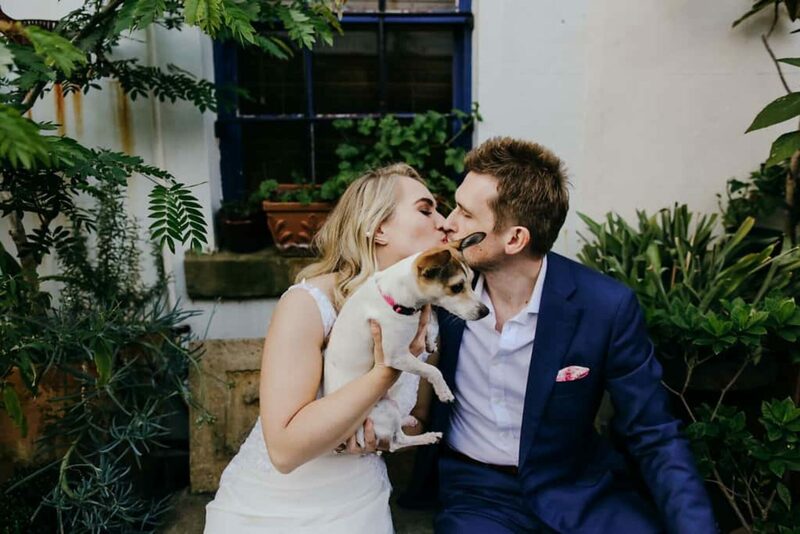 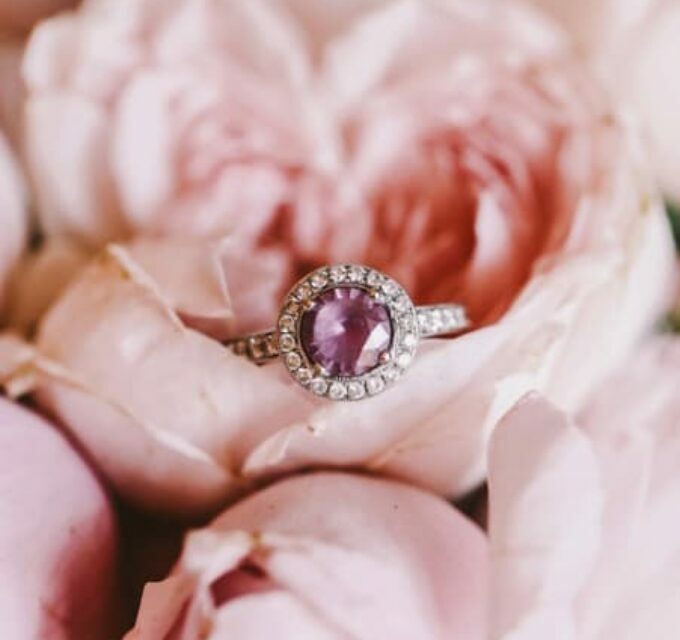 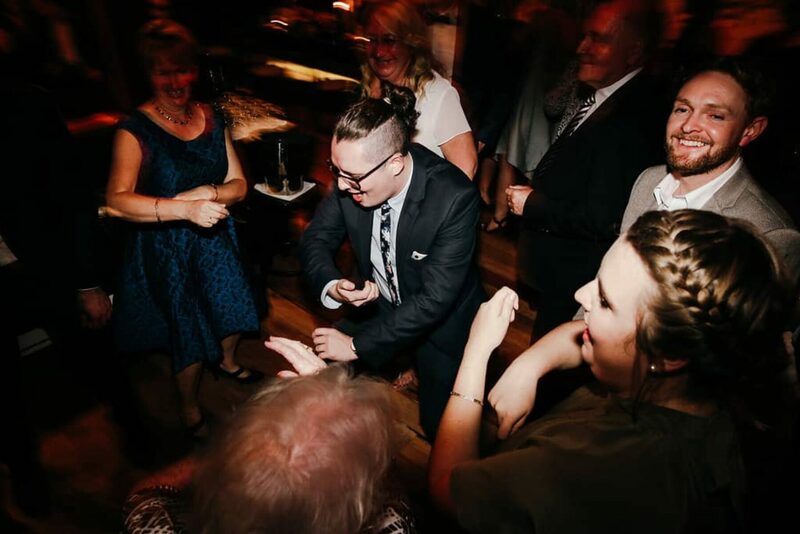 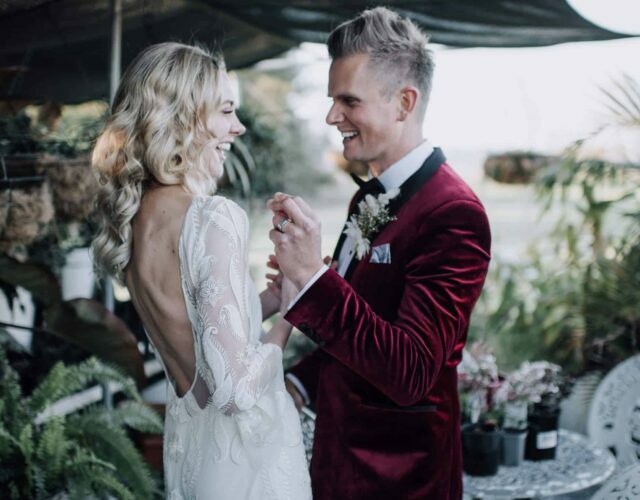 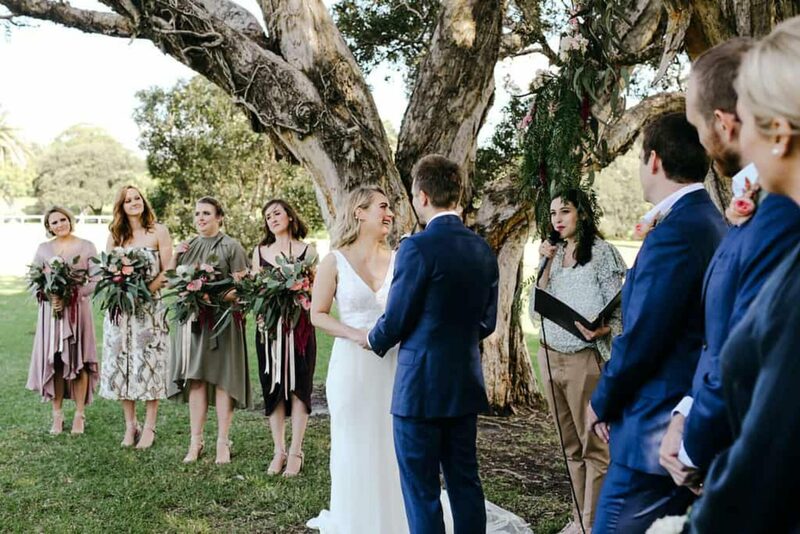 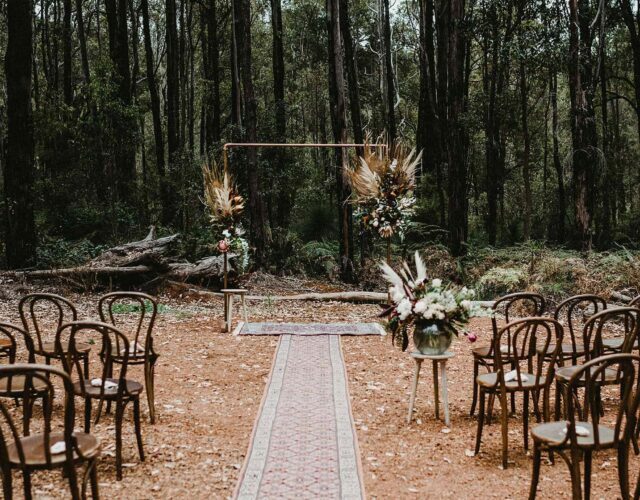 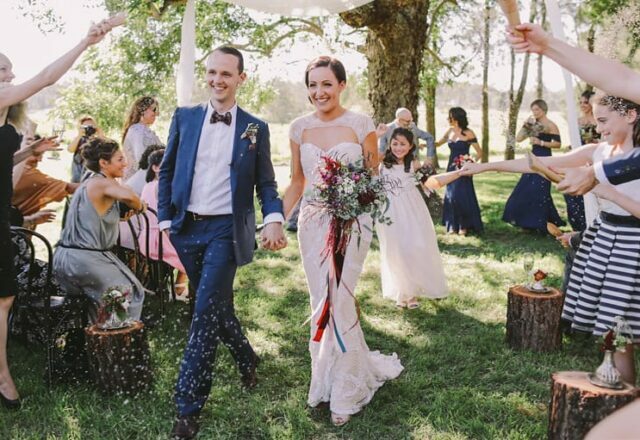 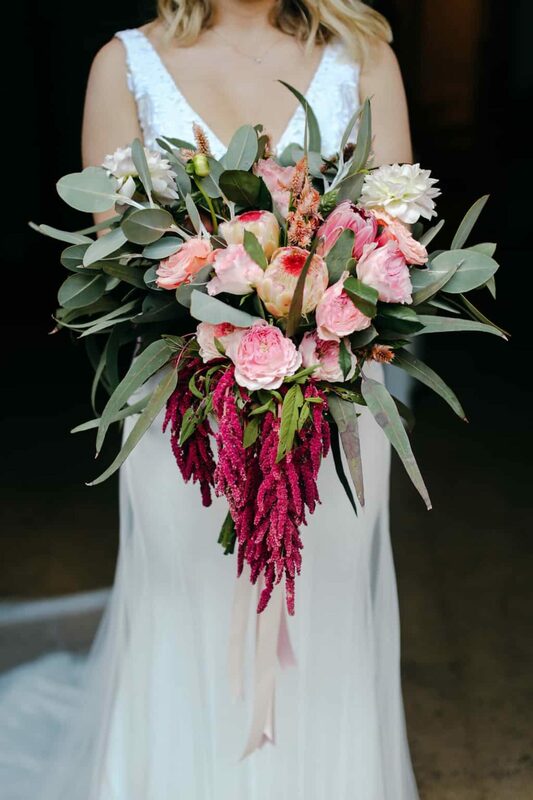 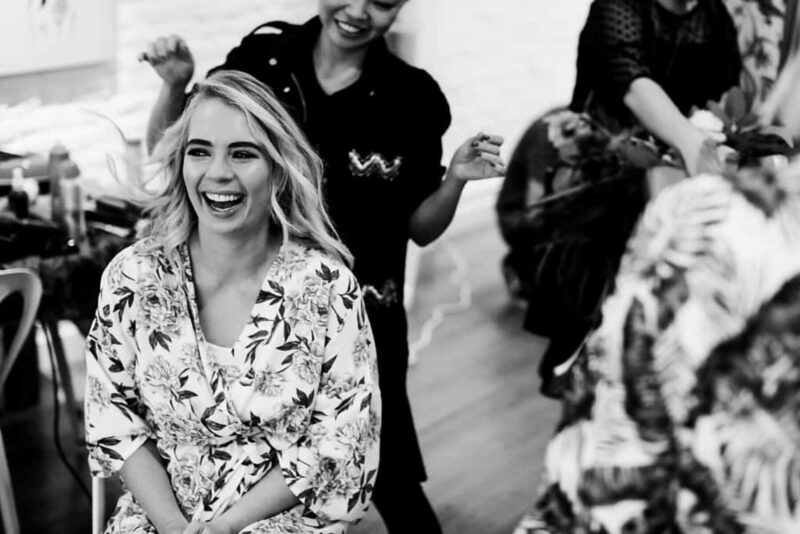 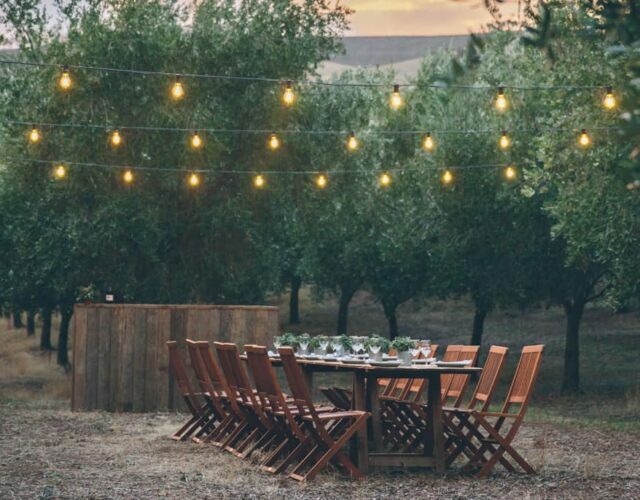 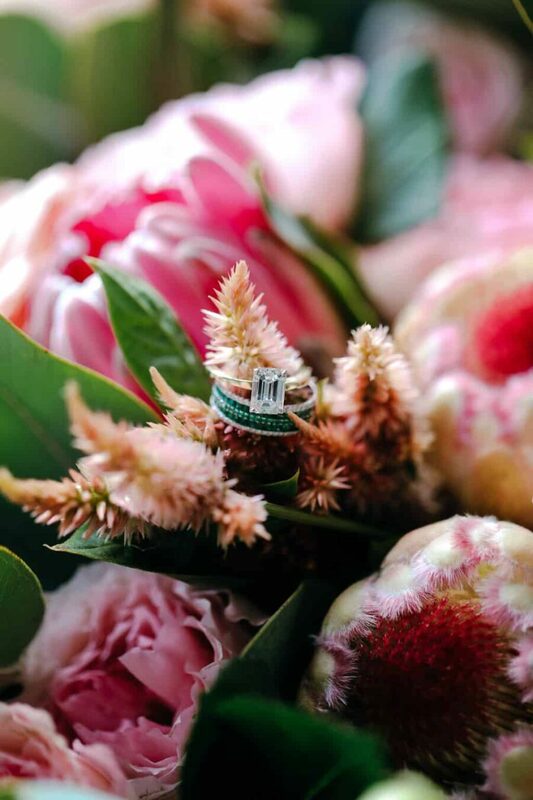 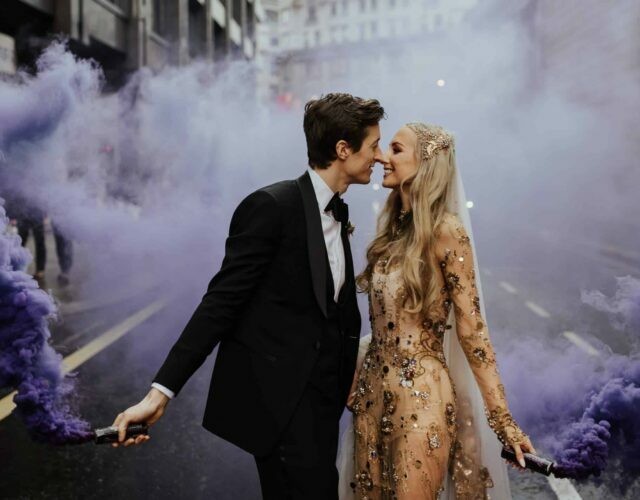 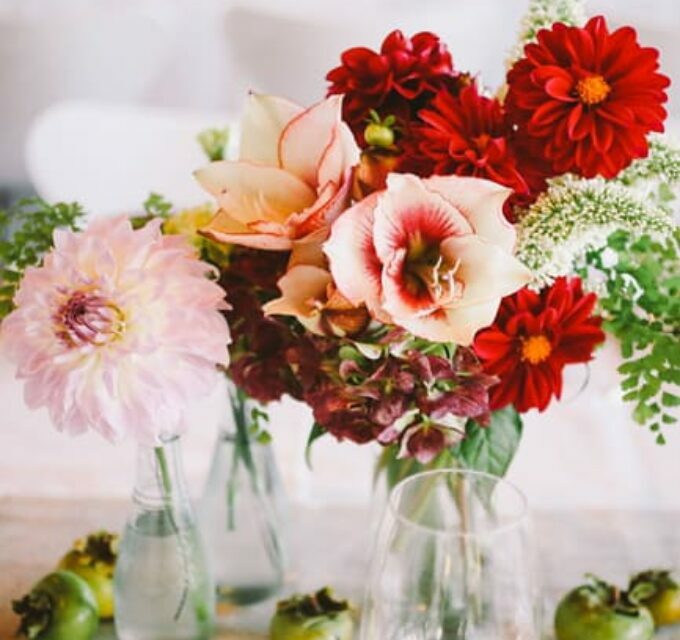 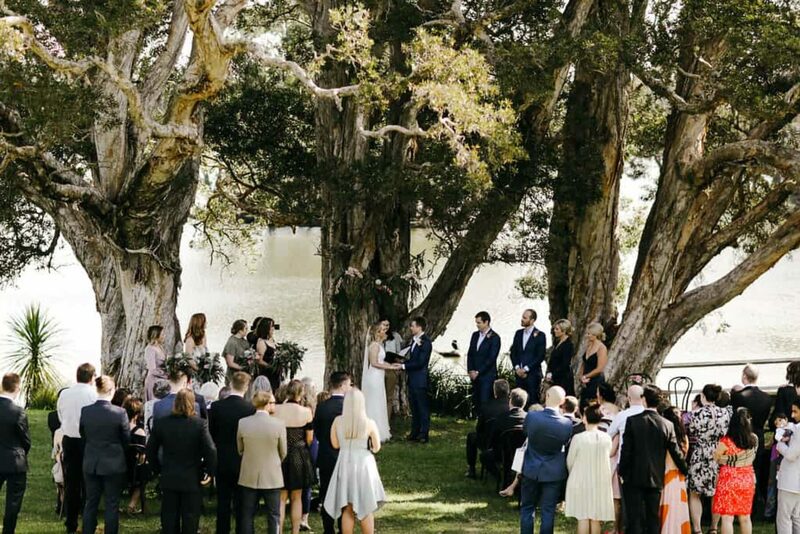 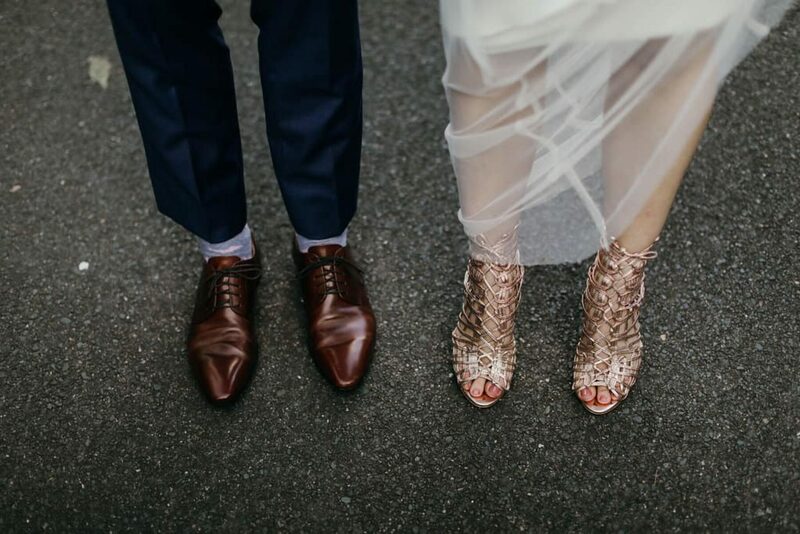 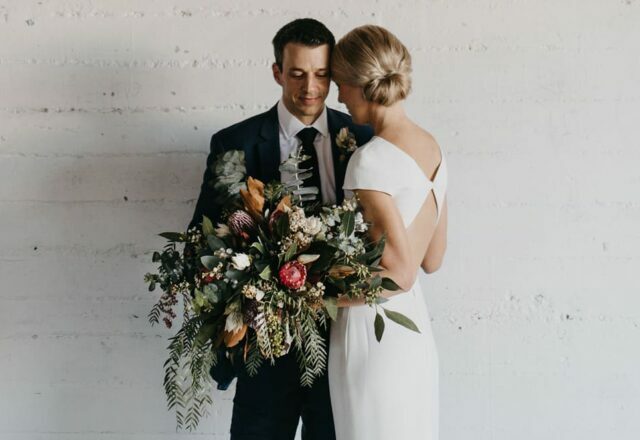 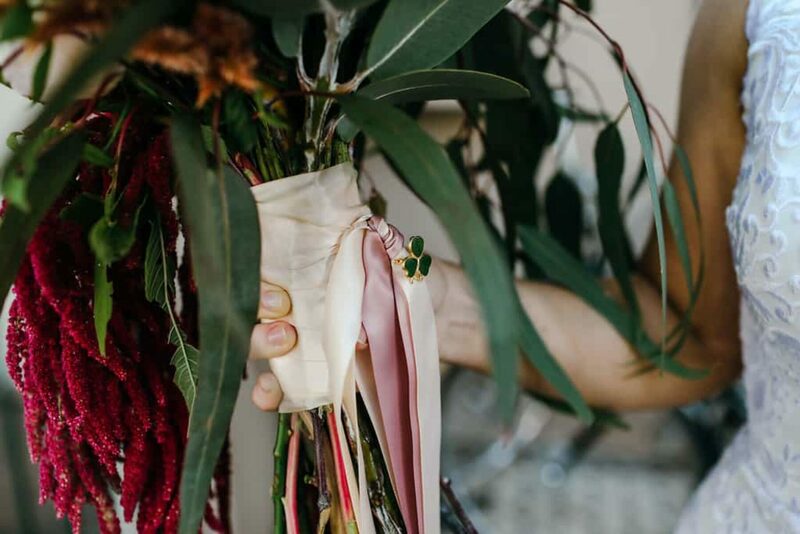 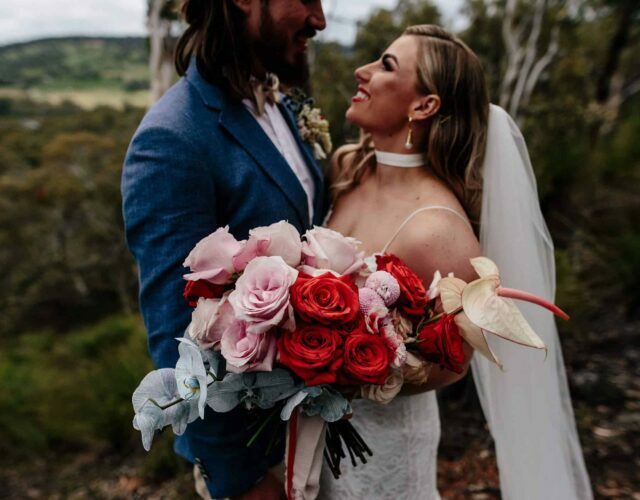 The couple’s ceremony was short and sweet with lots of laughs, conducted by Tami Sussman who Hannah describes as “the world’s greatest celebrant”. 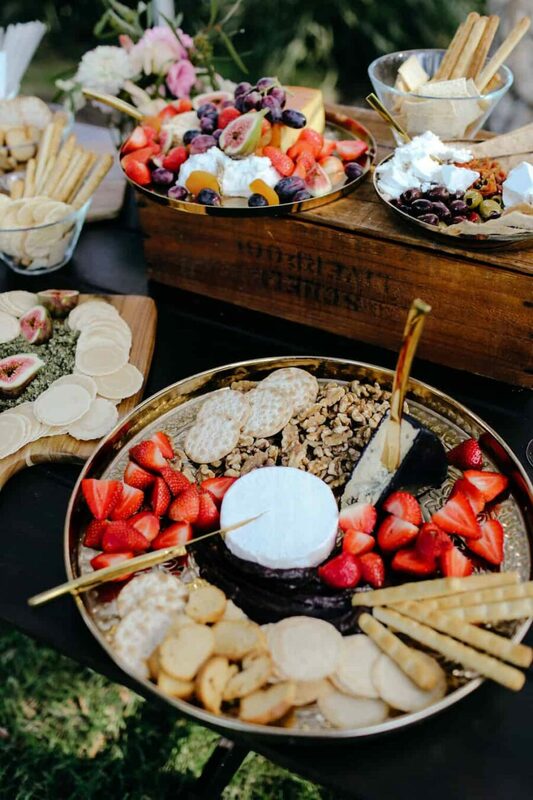 Guests then mingled over drinks and a grazing table before moving on to 4Fourteen for the reception. 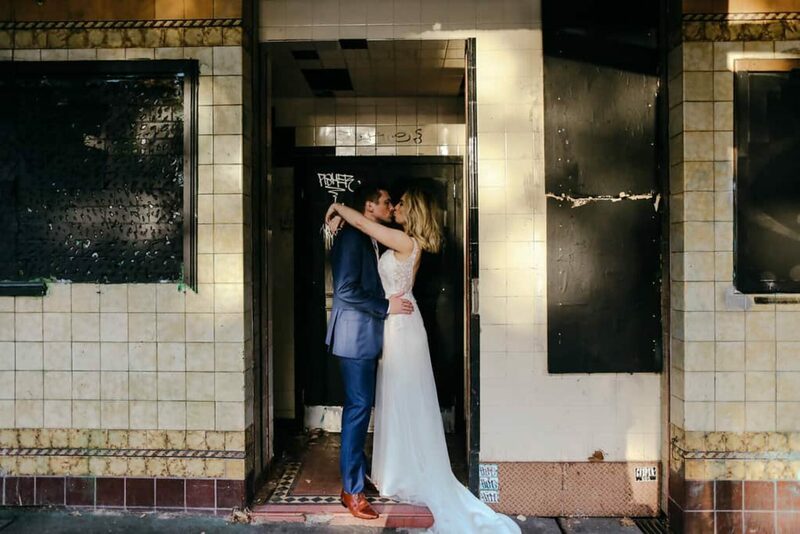 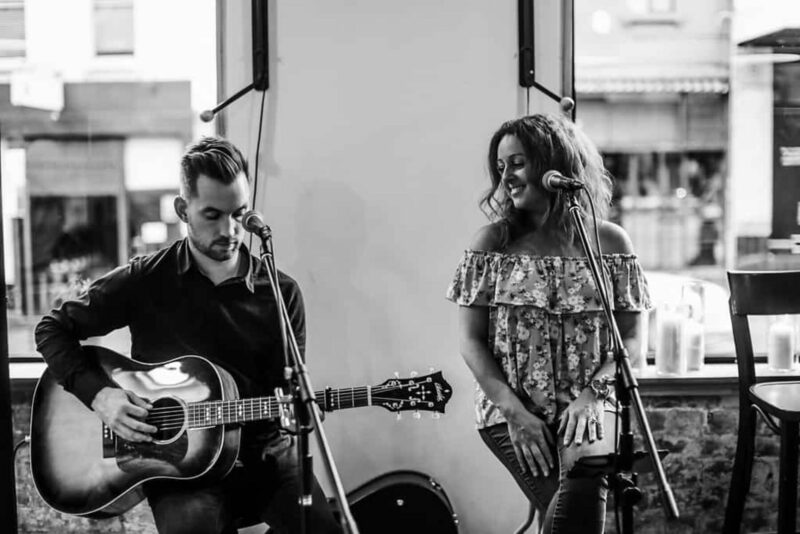 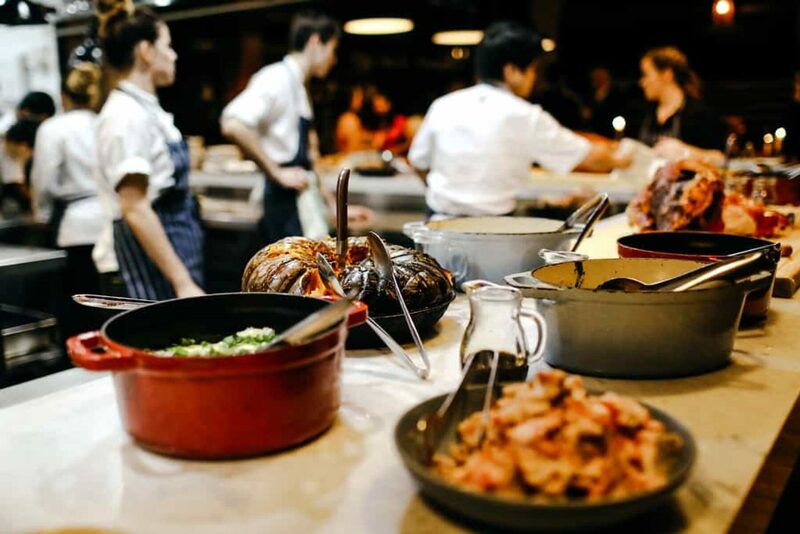 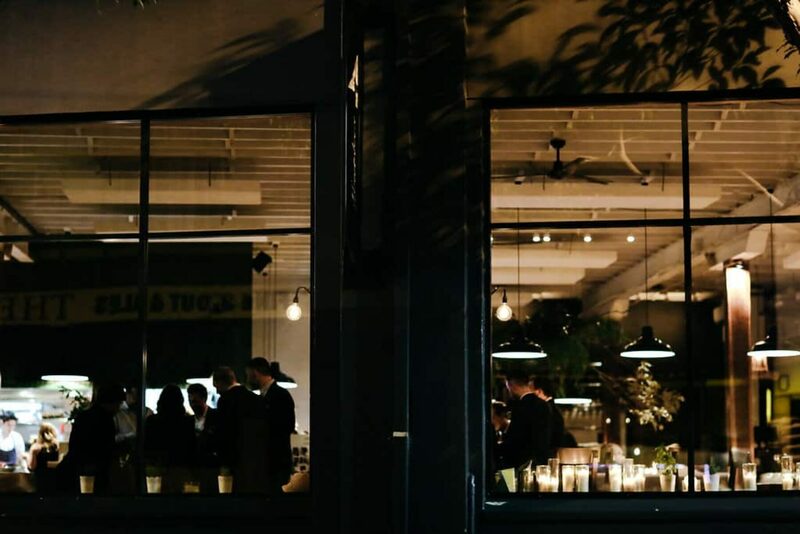 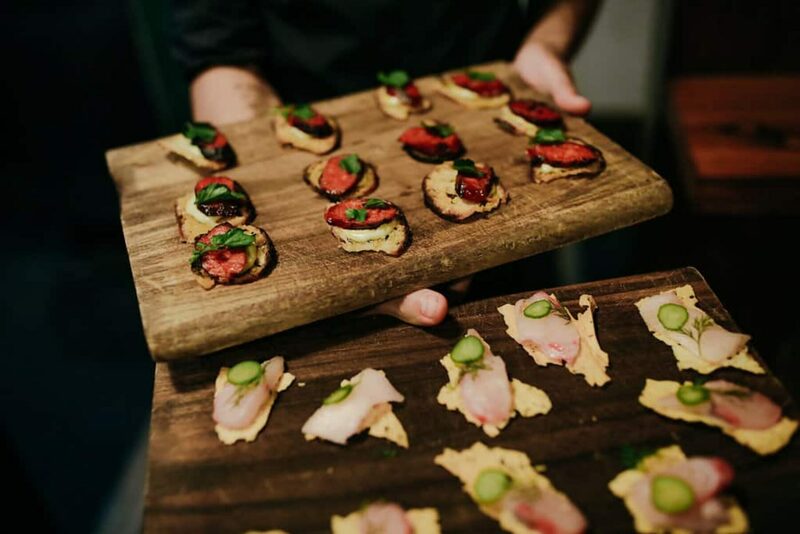 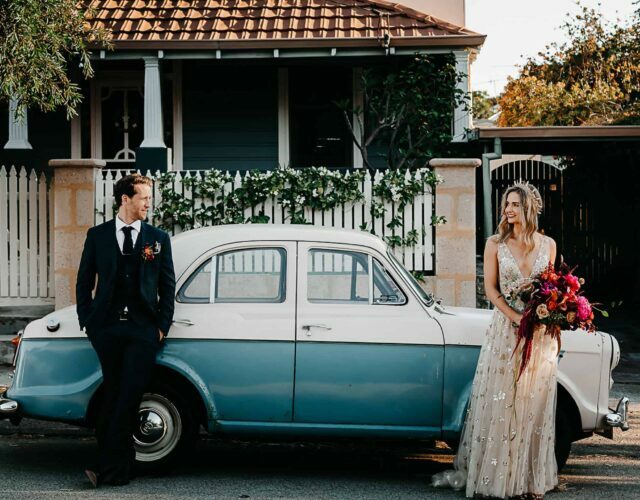 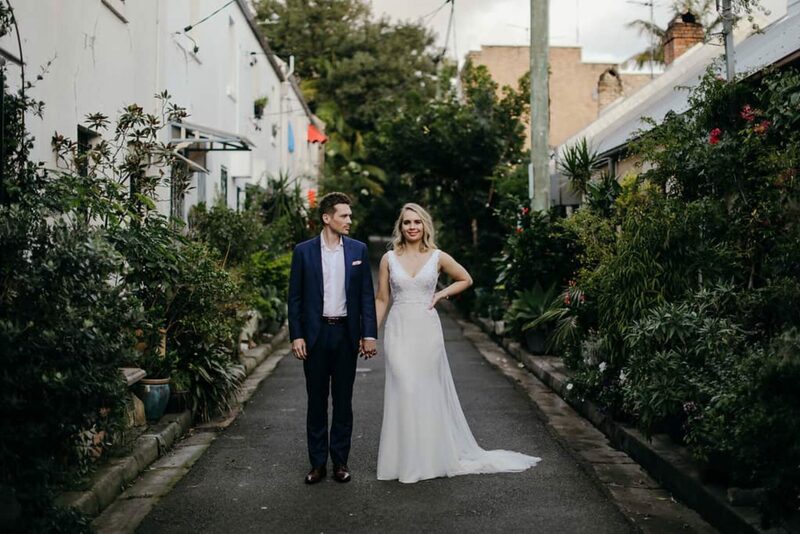 Hannah and Luke already loved the comfortable style of their favourite restaurant and wanted the space to speak for itself, so their instructions to Pia & Jade were to keep it simple. 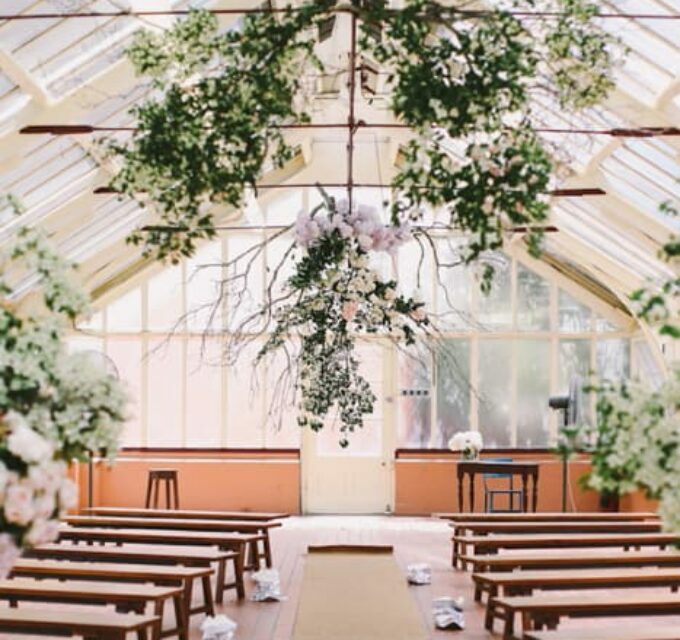 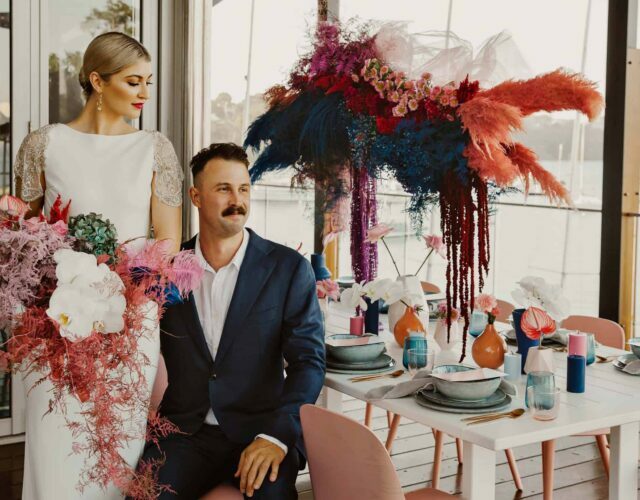 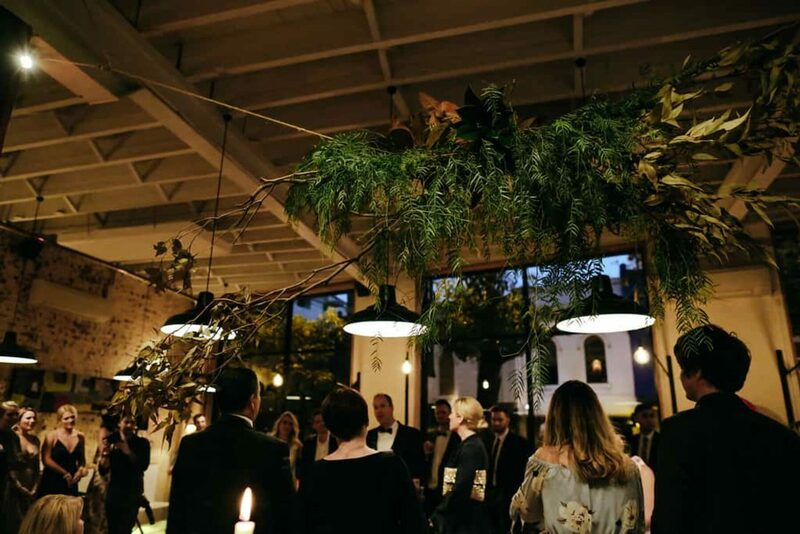 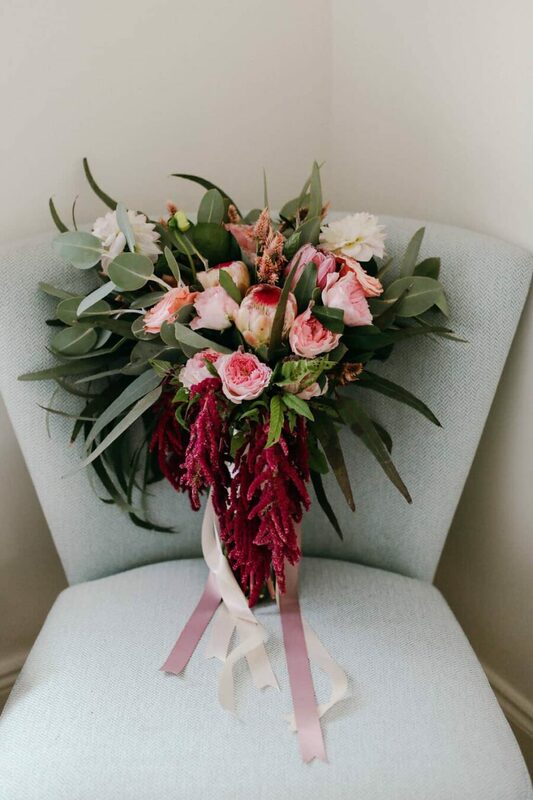 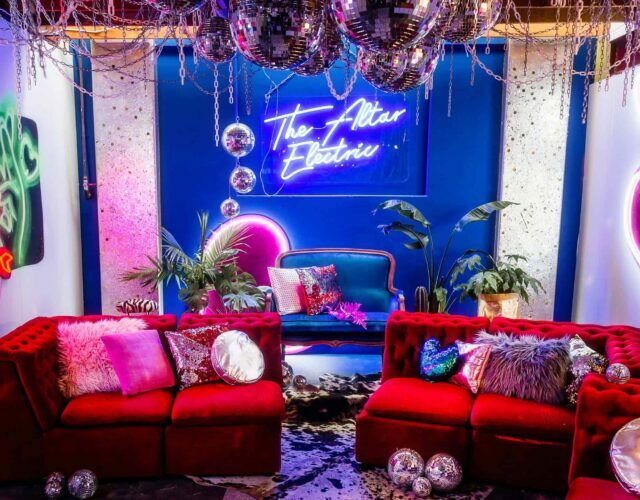 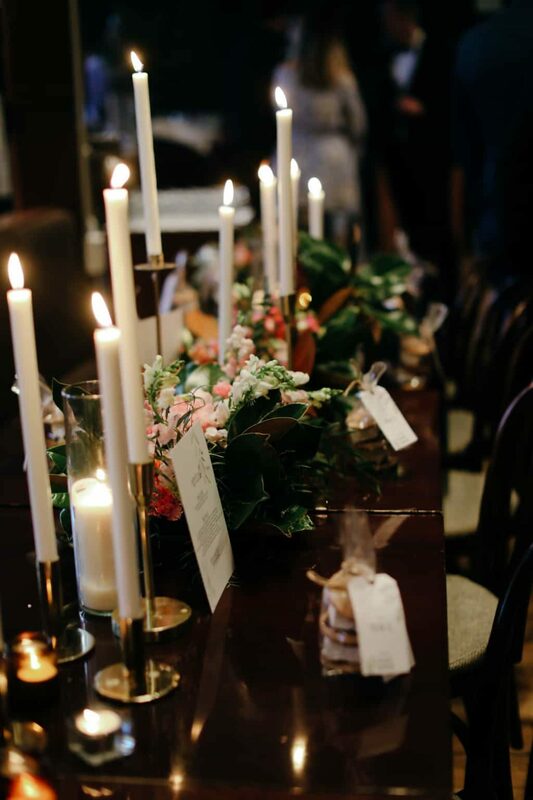 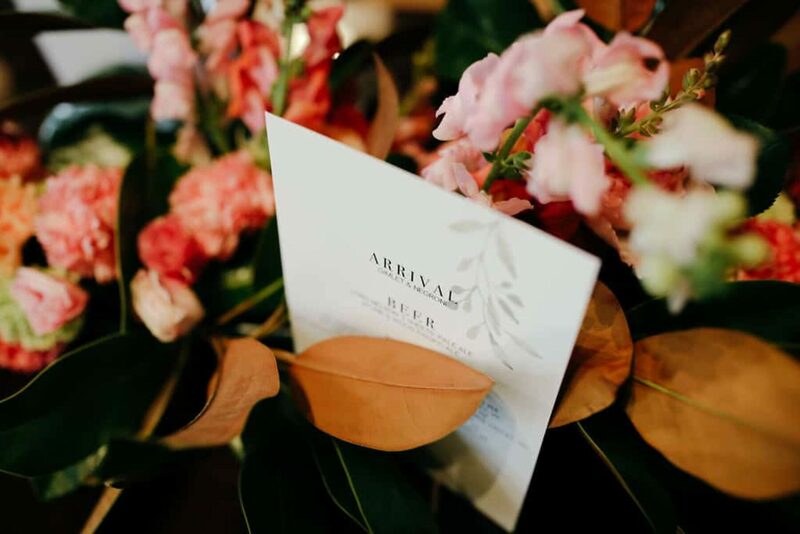 The restrained styling, together with stationery by Sophy MacCallum, added elegance to the venue without competing with the existing décor. 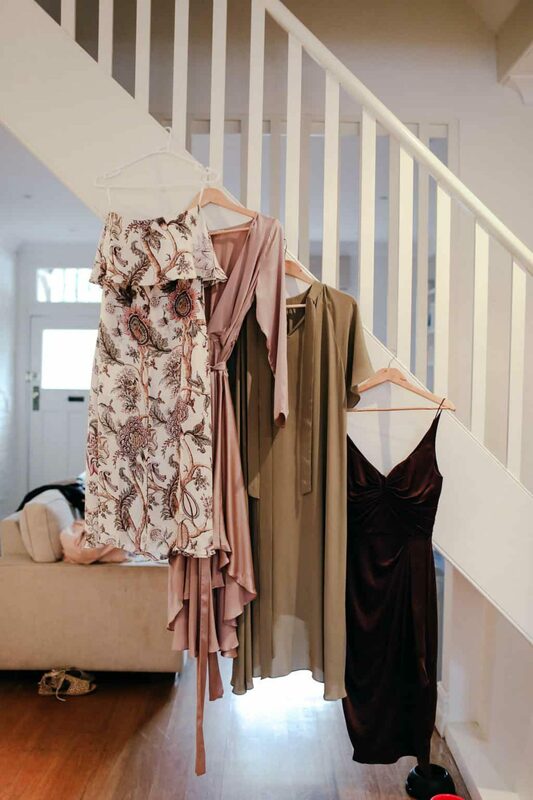 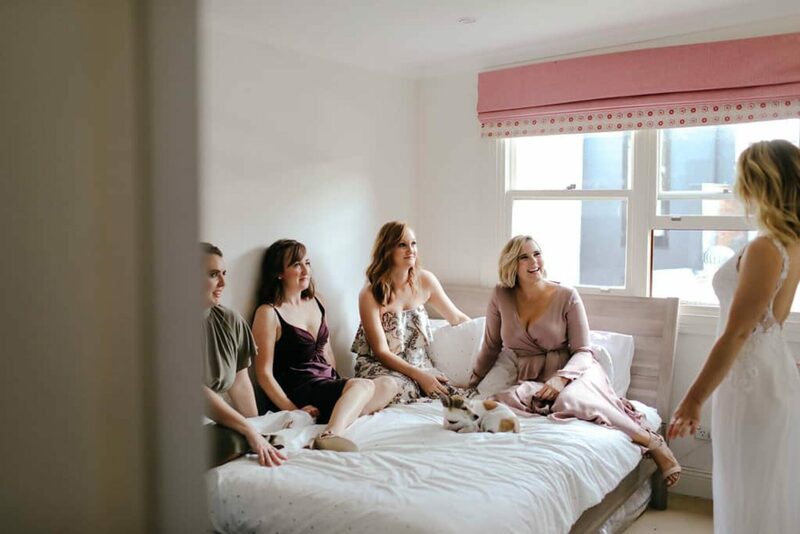 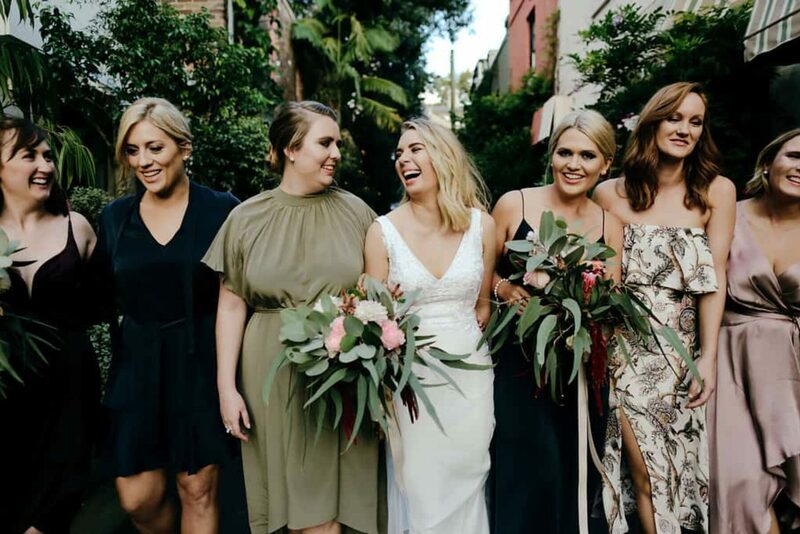 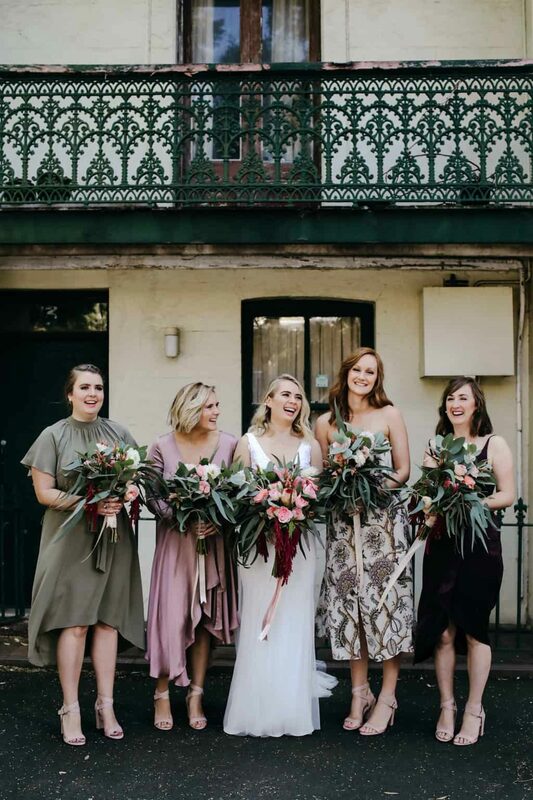 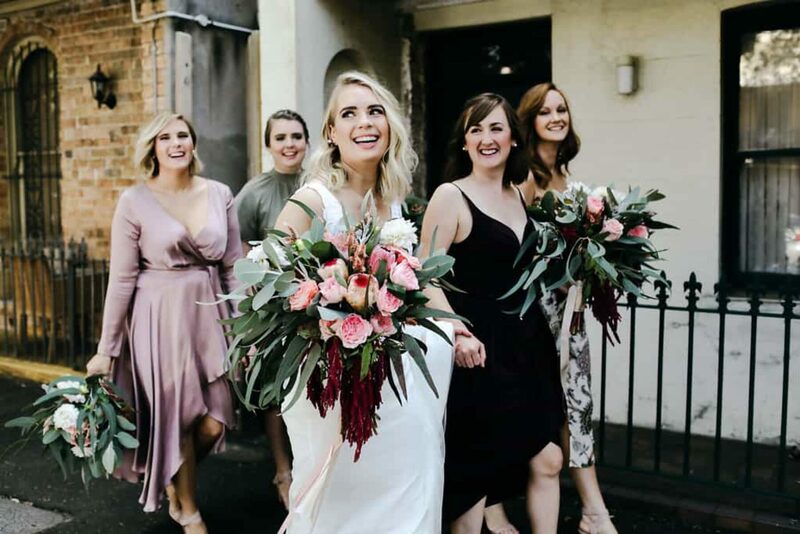 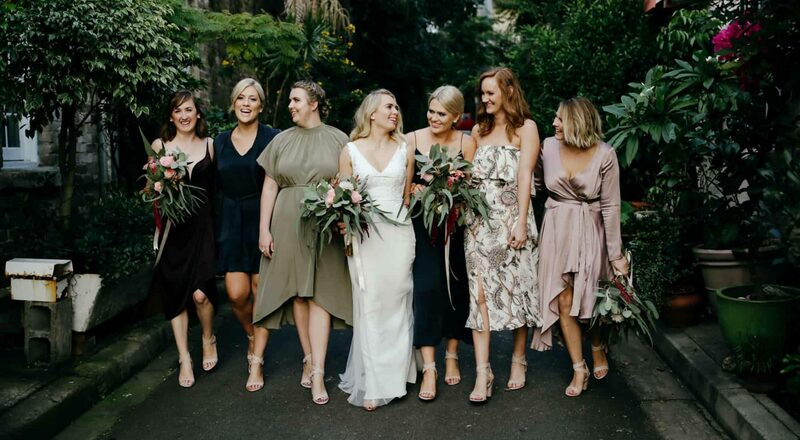 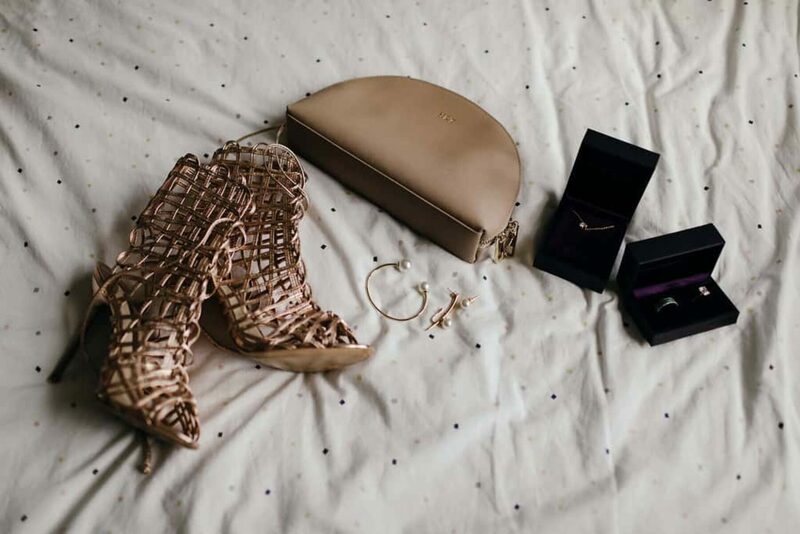 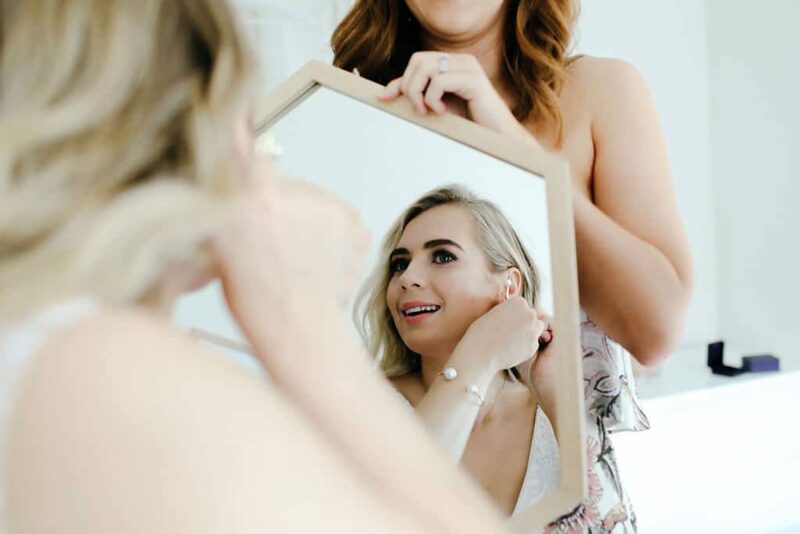 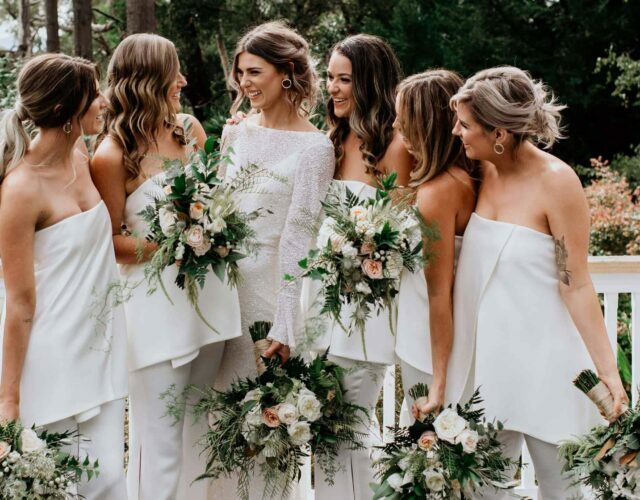 Perfectly mismatched, Hannah's bridesmaids were given free rein to choose their own Zimmerman dresses which were paired with Wittner shoes and earrings from Topshop. 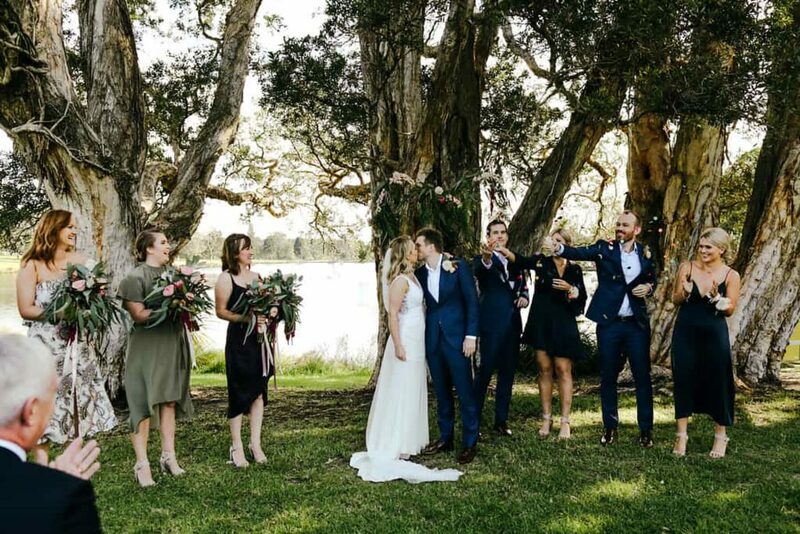 Luke and his groomsmen looked suave in their M.J. Bale get-up with shoes by Aquila, whilst his groomswomen rocked navy blue dresses by Zimmerman. 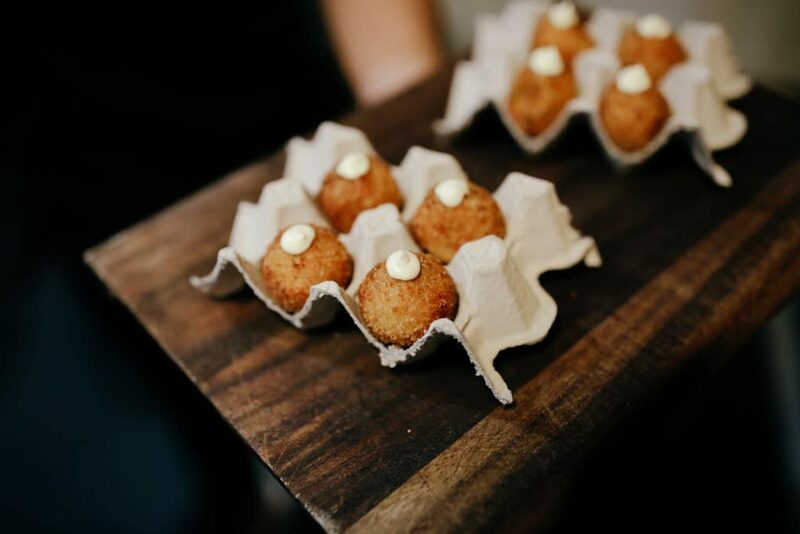 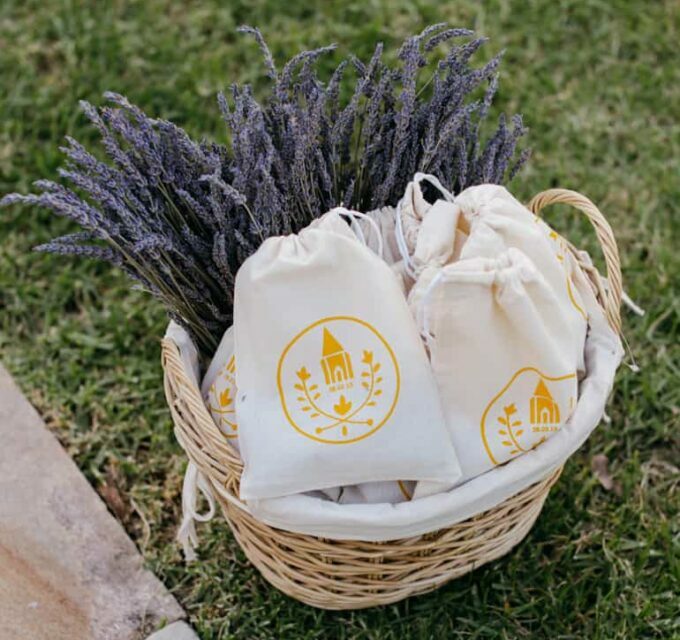 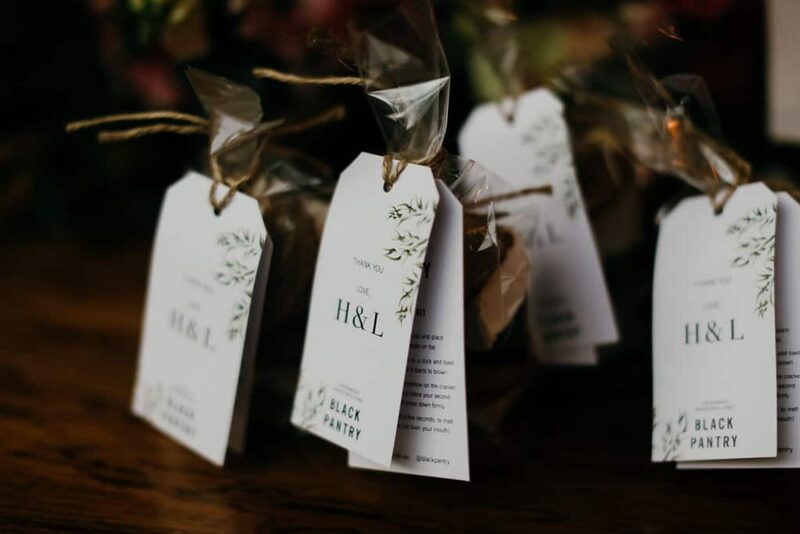 S’mores kits from Black Pantry were cute and tasty favours for Hannah and Luke’s guests. 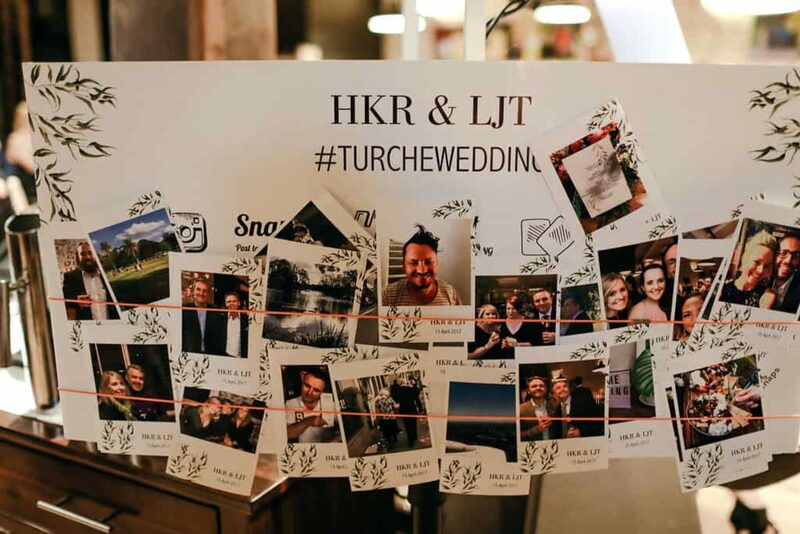 Hannah and Luke’s crew were able to take their Instagram snaps home with them thanks to a photo printer from Tag Snaps. 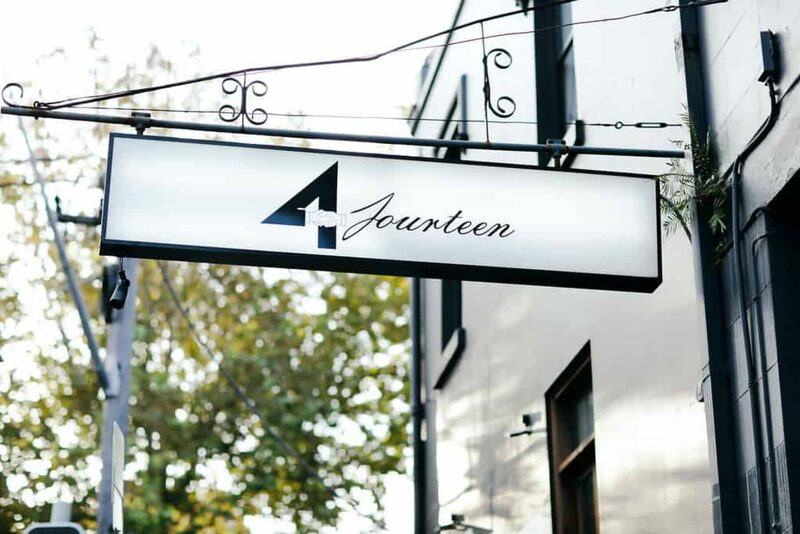 4Fourteen put on a feast to remember featuring signature cocktails and a buffet of whole roast pigs, lamb shoulders, duck roasted potatoes, colcannon and Iggy’s bread, followed by a dessert bar and Espresso Martinis.